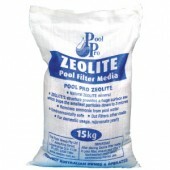 Pool Filters - At the best price in Australia! 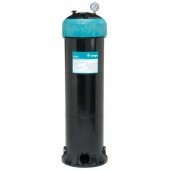 The filtration system (pool pump & filter) is one of the most important parts of your pool! Pool filters are designed to keep the water looking great by removing debris and oxidised materials from the water and stimulating water flow throughout the pool, distributing chemicals and preventing algae from forming in poorly circulated areas. What are the different types of pool filter? 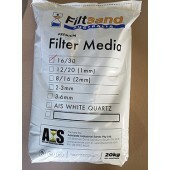 Sand filters are still the most commonly used filters in Australia. Robust, durable and low maintenance, sand filters can also be filled with different filtration media such as glass and zeolite. Sand filters strain the water from the surface of your skimmer box, filtering out impurities. These impurities eventually clog up the sand, which should be cleared every 6-8 weeks using a process called backwashing. Backwashing is greatly reduced if the sand is replaced with glass pearls. 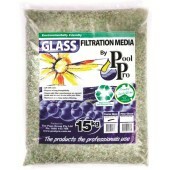 Cartridge filters are quickly becoming the preferred method of filtration for swimming pools. The pool water is circulated by the pump through the cartridge element which removes dirt and debris down to particles as small as 5 micron. As a comparison, a human hair is 70 micron in diameter. This removes any contaminants or food that allows bacteria to form. At Pool Supermarket, we stock a wide range of pool filters for shipping to customers across Australia.